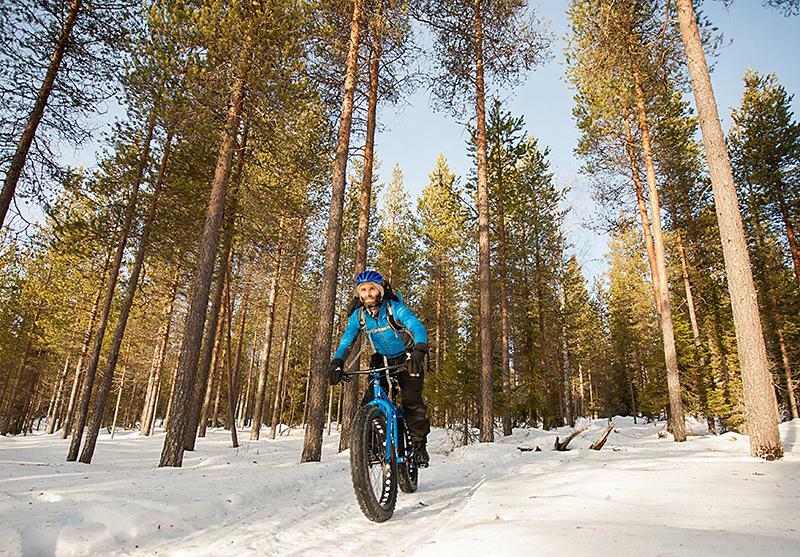 Fat Biking in Finland – The Great Canadian Travel Co.
Take on the wilderness in the incredible Finnish Taiga, cycling through forests, along frozen lakes towards spectacular, snow-covered horizons on fat bikes. These are mountain bikes on steroids, fitted out with chunky, extra grip tires allowing you to ride through the snow like never before! Optional single supplement pricing available, contact us for pricing. Start at Basecamp Oulanka for the first briefing and to visit the kit room to collect all the clothing needed for a week of fat biking in arctic conditions. Depending on the arrival time you may have dinner here or later when you arrive at the Logging Lodge in Oulanka National Park. Take on the wilderness in an entirely new way on this new fat biking trip. This is mountain biking turned up to the max – chunky, extra grip tyres allow you to ride your bike through the snow like never before. 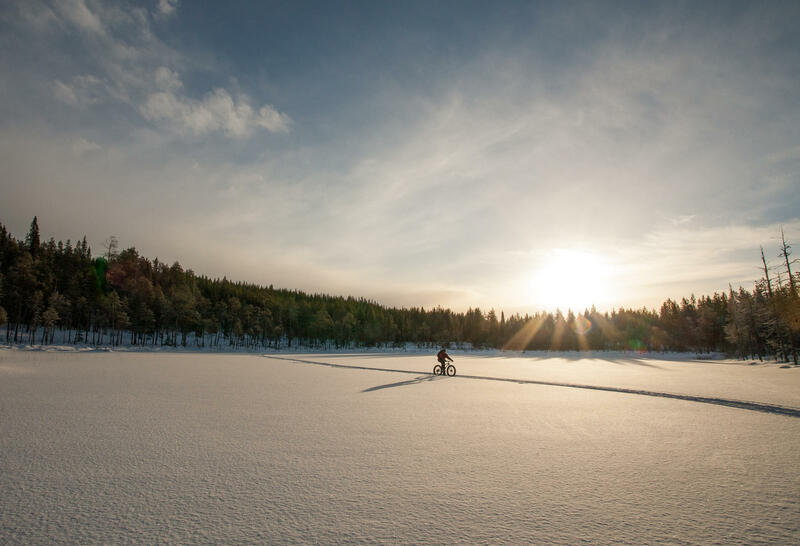 You’ll be out on the incredible Finnish taiga, cycling through primordial forests, along frozen lakes and towards spectacular snow-covered horizons. 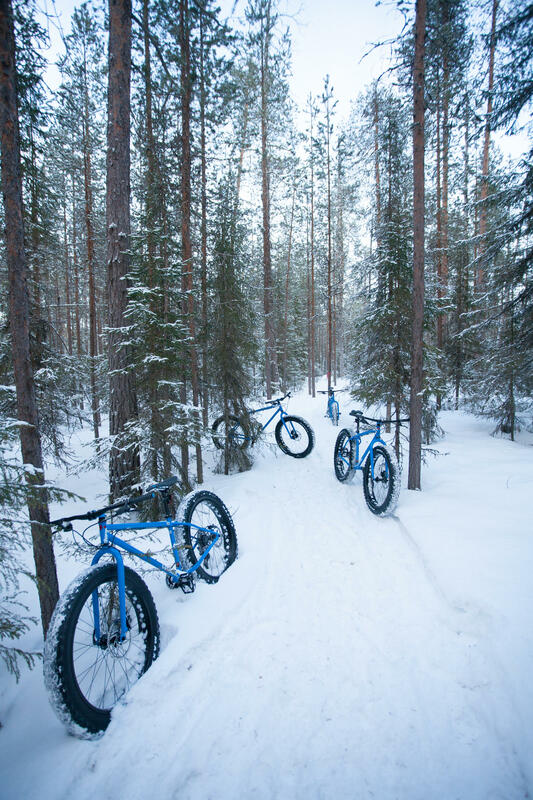 Pre-prepared tracks in the snow allow you to ride with relative ease, whilst seeing the best of arctic Finland from the saddle. As if that isn’t enough, you’ll stay in remote wilderness cabins with traditional saunas and authentic cuisine to keep you cosy when the daylight fades, and if you’re lucky, the chance to watch the dance of the Northern Lights. 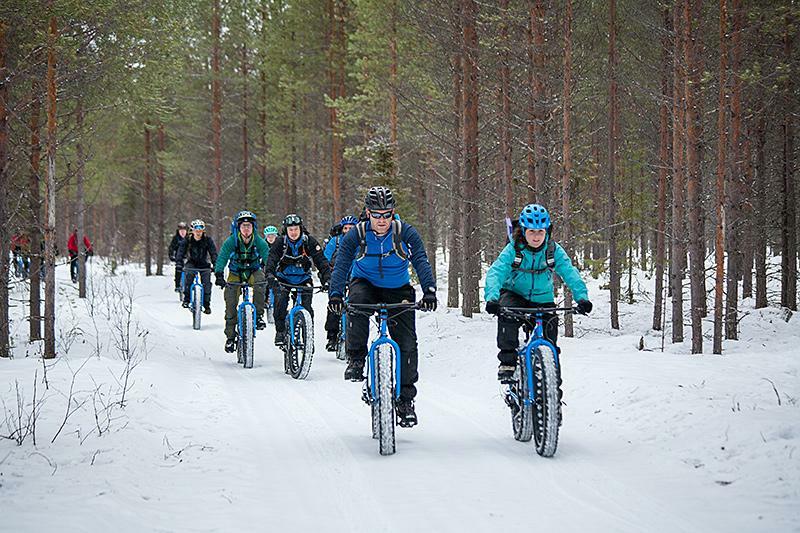 This is the ultimate winter biking adventure, a truly unique experience! In the morning you are provided with your bike for a week spent in arctic conditions. 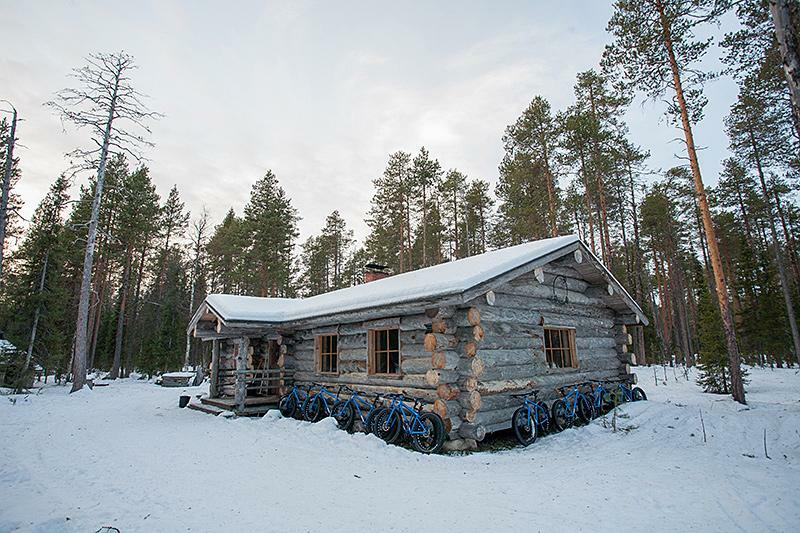 You will spend the day not far from the Logging Lodge, firstly with an introduction to fat biking and wilderness skills in the forest or in a larger clearing on the edge of the forest. In summer this is used as a gravel pit, and whilst that may not sound hugely appealing, a healthy dose of snow in winter turns it into a wide open area with a few ups and downs, perfect for easing back into the swing of things. Lunch today is taken back at the Logging Lodge. The aim is to have a few hours practice in both the morning and afternoon. In the morning you will be given a drysack (max. 6kg) to pack up all the equipment, clothes and essentials youe might need for the next two nights. The drysacks will then be taken on to the Russian End cabin via snowmobile, meaning you only need to carry the items for that day’s ride. Once packed you get on the bike and ride east following the River Oulanka where there are some small ascents and fun descents. After your break you will have a short ride to the Russia border. You will follow this all the way to the cabin which is situated on the River Oulanka. 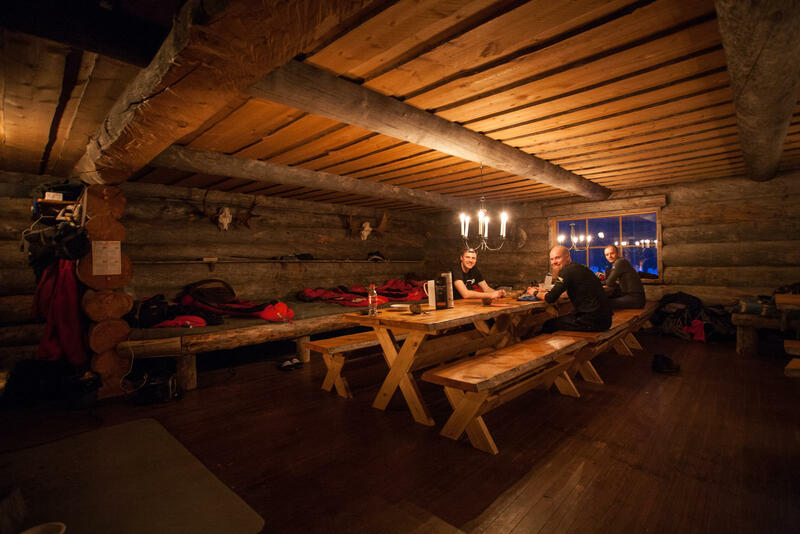 Once at the Russian End cabin you will have a hot lunch and some free time to enjoy the sauna, go for a walk to the river or head out on a self-guided ride. After breakfast, you have a loop ride south following the River Oulanka and the Russian/Finnish border to the beautiful viewpoint which overlooks Lake Paanajärvi on the Russian side, a wonderful spot from which to admire the natural surroundings. Your ride back takes you through forest inhabited by elk so there is a high chance of seeing one. In the evening you can relax in the traditional Finnish sauna and head out to the frozen river for an amazing view of the night sky. Today you pack up your kit for the return journey to the Logging Lodge, you will ride through the biggest destructed area by elks in Europe. You will then stop at the reindeer roundup before rejoining the same route as day three in reverse. Once back at the Logging Lodge you will have lunch followed by a free afternoon for relaxing in the sauna or heading out on a self-guided ride. Free day to enjoy a variety of optional activities on offer today including unguided snowshoeing or dogsledding. 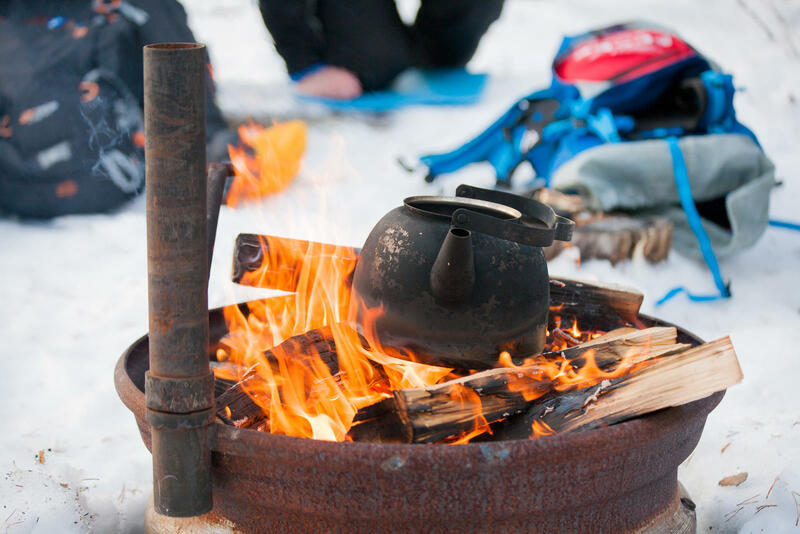 An introduction to snowshoeing is required if you wish to do this today to explain how to use the equipment (if you do night snowshoeing earlier on in the week that will be your introduction to snowshoeing). Today you will set off into the wilderness for your longest day of the trip. 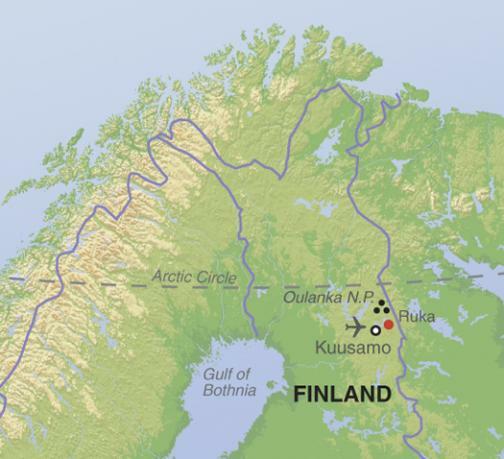 You will head north along the Oulanka River venturing further into the National Park. 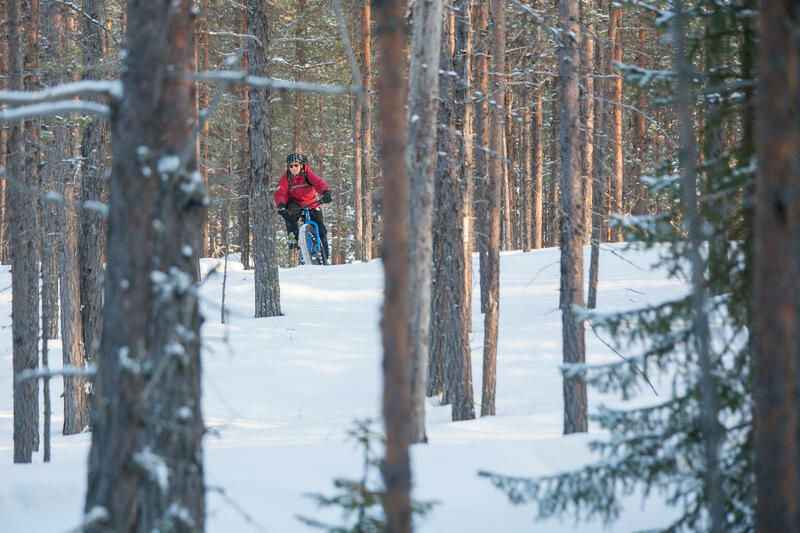 The route starts by crossing Oulanka River before heading into the thick woodland of the Oulanka National Park, there are some undulations on this route and a few short sections which need to be pushed up, though the descents make this effort well worthwhile! You will explore the habitat of the Golden Eagle and wolverine, if you are lucky you might even spot one. Lunch will be along the way on the trail. Then you will ride back to the Logging Lodge for dinner and time for a final sauna. Your trip ends at the Logging Lodge. This tour requires a moderate amount of fitness and an interest in remote or challenging environments. Some previous cycling experience is required for this trip.